Special Financing! Buy with 50% down and 50% in 30 days. Inquire about our Special Wood Edition! 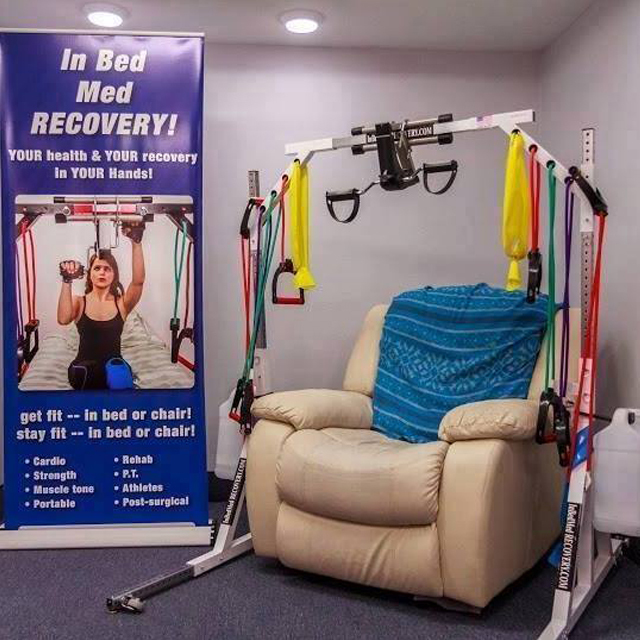 PERFECT to use from your bed recliner or wheelchair. 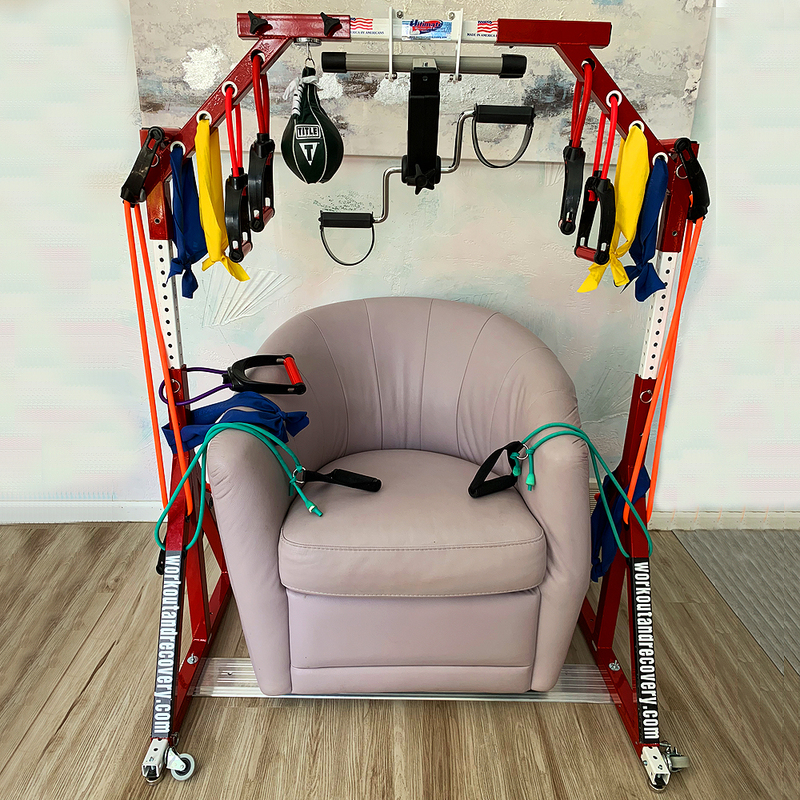 The Ultimate Workout and Recovery Spider System benefits wounded warriors and veterans, athletes, paraplegics and spinal cord injury patients, and bariatric patients, cancer and immune- compromised patients, stay-at-home mothers, care givers, occupational and physical therapists, senior centers, nursing homes, veterans hospitals, rehab clinics, fitness enthusiasts, personal trainers, chiropractors, and anywhere this unit would aid those Stuck- In-Bed achieve maximum fitness and recovery. USE IT OR LOSE IT applies to people of all ability levels - imagine easily doing a cardio workout while in a wheelchair, or doing resistance and range of motion exercise while in bed, unattended. There are many proven psychological benefits from physcial activity, regardless of the level of ability. 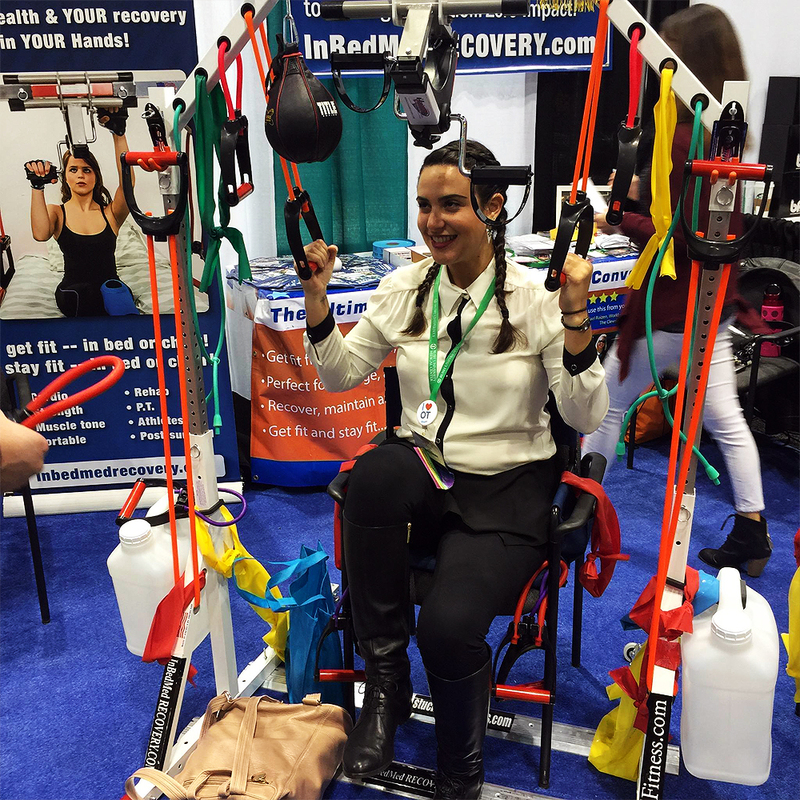 Professional and amateur athletes can work out even with an injured or recovering limb. Our devices are zero impact, and can be used in a bed, chair or wheelchair. Fitness enthusiasts, precent joint strain! Give your hips, knees and ankles a break! At any level of function, veterans and their families/friends can benefit from the ability to work out anywhere, anytime, with our devices. 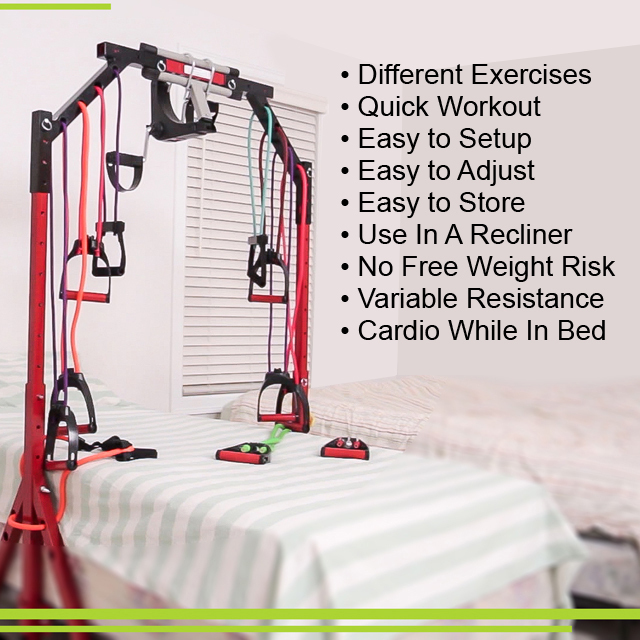 The full size device allows a cardio workout while in a bed or chair, and virtually all muscle groups may be strengthened and toned - while in bed or chair! * Subject to availability, may take longer to receive this item. Note: some items may need to be back ordered. Designed in the USA. Trademarked. Patented. Payment available by credit card, bank wire transfer and checks also available. Please contact us for more information on paying by check or through bank wire transfer. An order must be cancelled by 3pm EST, on the same day the order was placed. All cancellations will result in a 35% restocking service fee. Send us an email as soon as possible to info@ultimateworkoutandrecovery.com to make changes or to cancel an order. Products are not refundable. We reserve the right to cancel and refund any order.